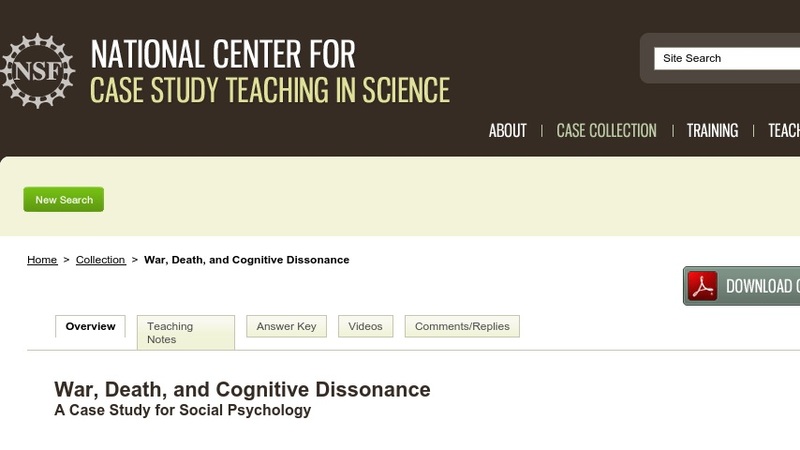 This case study explores cognitive dissonance theory, a theory proposed by psychologist Leon Festinger in 1956 to explain the tension that exists when peoples’ attitudes are incongruent with their behaviors. Students read a news article describing how residents of a town in Ohio are coping with the rising death toll among Ohio soldiers fighting in Iraq. They are then asked to evaluate the theory and to propose alternative explanations for the evidence in the article. Designed for use in social psychology courses, the case would also be appropriate for introductory psychology courses.